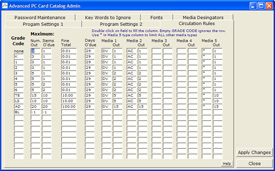 Using the separate ADMIN program, the library staff can set parameters to assure conistency for each instance of CONCEPT I and CONCEPT I OPAC. A high level password is required to make changes. Set check out limits for patrons. 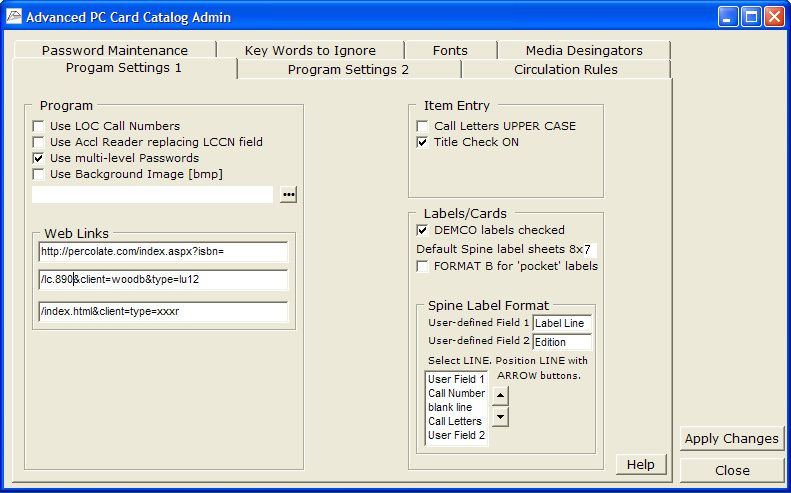 Define limits for the number of items out, fines total , days overdue and media item count. Each GRADE code can have its own 'rules.' Set special GRADE codes for staff and privileged users. Or set a special code for a complete lock out. 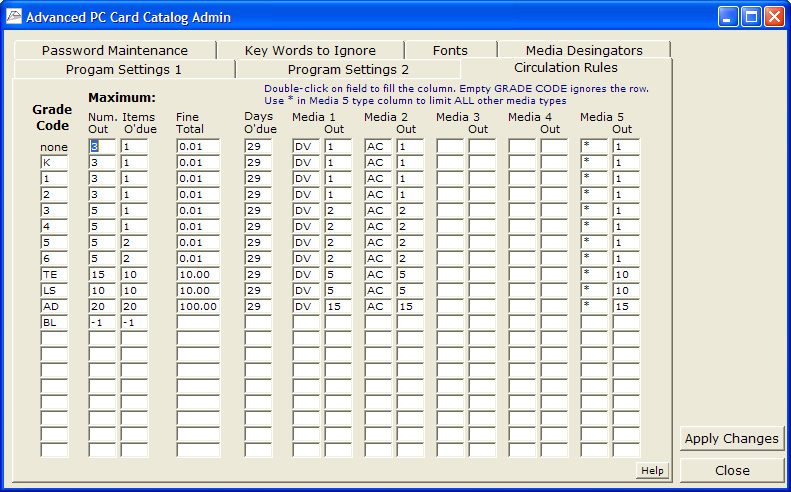 Quickly fill in a column of limits with the handy 'click-fill' feature. CONCEPT I, First Seat package. 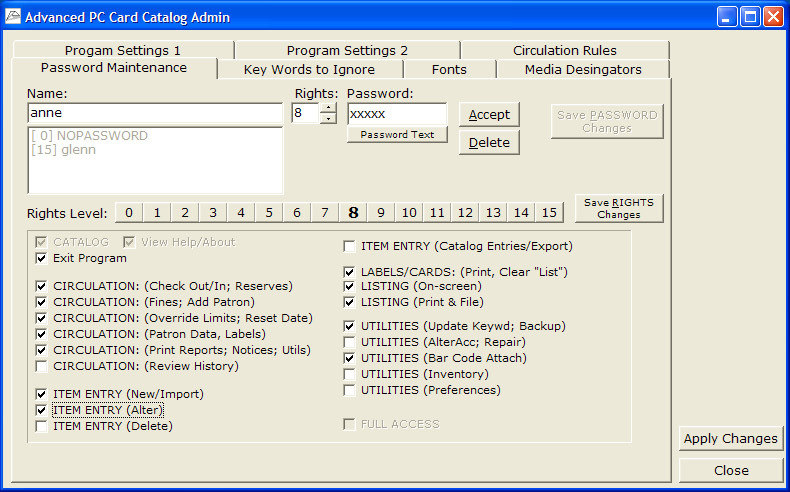 Set unique passwords and access levels for each staff member. Assign the access rights for 15 levels. Permit staff to access selected program sections while remaining locked out of other activities. One staffer, for example, might be assigned check out/in privileges but would not be permitted to override a check out lock or review check out histories. Authorized personel can give temporary access to a limited-password user. Set unique access privileges for users that have no password...from extremely limited to full access or any point between. ADMIN requires a FULL ACCESS password to make any changes in the settings. 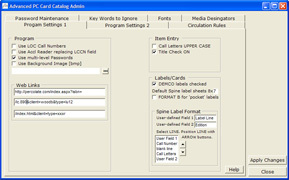 Assign common parameters such as label formats, media codes, catalog screen layouts, e-mail and image server connections, fines and loan terms.